I spend a few weeks every year teaching high school and college students, and in my interactions with young people in and around universities I have noticed a trend. After class, at meals, and in walks around campus, the politically engaged students invariably ask me the same question: What do I think of Ben Shapiro? Nor am I alone. Recently Eliza Gray had a similar experience while reporting on young conservatives in the age of President Trump. "Oddly enough," she wrote in the Washington Post, "the person who appeared to be doing the most to shape the thinking of the new generation of Republican leaders was not the president of the United States—but Ben Shapiro, a 34-year-old anti-Trump conservative pundit who came up unprompted in more than a third of my conversations." Again and again, students turn exchanges involving politics and ideology into discussions of Shapiro, his media presence, his ideas, and his mode of discourse. As it turns out, I happen to think well of Shapiro and admire not only his intelligence but also the way he is modeling political debate for an audience of millions. (We've corresponded once or twice but have never met.) More important, though, is what Shapiro's celebrity tells us about the changing nature of media, the emerging sensibility of conservative youth, and indeed the future of American conservatism itself. From YouTube, the budding fan subscribes to Shapiro's highly ranked podcast, and then finds him on Facebook and on Twitter, where he has 1.49 million followers. 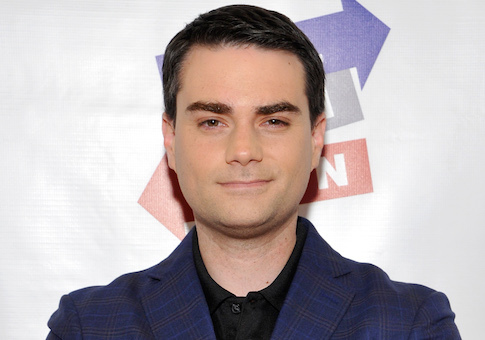 There Shapiro promotes the roughly one zillion articles that he writes every week for National Review Online, Newsweek, Jewish Journal, and his own site Dailywire.com. But the writing, as good and valuable as it is, is not the primary means by which Shapiro engages his followers. New media is. Shapiro is a conservative pundit for a dis-intermediated age. Shapiro's fluid, informative, closely argued, intense, and fast-paced delivery is appropriate for a culture that values both immediacy and authenticity. His briefs for the conservative position testify to the fact that a well-reasoned, empirical, and logical conservatism still exists. But if Shapiro were simply partisan, if he were interested primarily in electoral politics, his appeal would not be so widespread. The issue that motivates these young people is political correctness: its denial of differences between the sexes, its reduction of identity to ethnic and racial ancestry, its stultifying effect on intellectual inquiry and free speech. For them, President Trump and the constellation of social and political problems with which he is associated are secondary to larger questions of cultural and academic freedom. With his extensive knowledge of both high and low culture, Shapiro is more than capable of referring to the pop touchstones of Millennials and Generation Z. He opines on sports, film, and media more broadly, and his busy speaking schedule frequently puts him in collegiate settings where he is exposed to the most pressing topics within the most radical sites in American society. Nor does he shy away from responding to the nostrums of identity politics in these hostile settings. His willingness to debate, indeed his readiness for polemical combat, generates excitement and attracts followers to his cause. The rise of Ben Shapiro points to a conservatism that embraces the communications technologies of the internet age, emphasizes the rights of life and speech and religion and self-defense, is familiar with and comfortable in the crazy blender of American popular culture, and is caustic in its opposition to socialism and bureaucratic control. A critic of Trump throughout the 2016 campaign, Shapiro has nonetheless come to occupy something of a middle position within the universe of conservative opinion: critical of President Trump's behavior, but also willing to applaud Trump when his policies advance constitutional freedom. Shapiro is someone that both Trump's right-leaning opponents and right-minded friends respect. Even a few liberals are willing to entertain his ideas—until they are shamed into denouncing him, of course. This is no small accomplishment. It's why Shapiro may be the most important conservative at work today. Not just because he has so many fans, but because he is urging those fans to adopt a political standpoint that is in the grand tradition of the conservative intellectual movement. At a moment when the range of potential opinions has widened to include Neo-Reaction on one end of the spectrum and fullcommunism on the other, a grounded, responsible, finely reasoned conservatism is more essential than ever. Finding oneself in such a position of leadership and authority carries a heavy burden. What Shapiro will do with his influence, and whether he is able to maintain it, is a question no one can answer. The serious intellectual work of reexamining the theoretical apparatus of conservatism—of understanding the place of tradition, civil society, market exchange, civic identity, and national defense in a chaotic and pluralistic 21st-century America—has yet to be accomplished. Shapiro may want to have a role in this project, even as he communicates to the millions. Here he can follow the example of his predecessors. For in his prolific output, forensic zeal and ability, love of the fray, exhausting schedule, adoption of new communications platforms, captive audience, and conservative ecumenism, Ben Shapiro resembles no one so much as the young William F. Buckley Jr. This entry was posted in Columns and tagged Ben Shapiro. Bookmark the permalink.